Leander Kahney, who has previously published books about Steve Jobs and Jony Ive, takes on the ascent of Apple’s current CEO in a new book titled Tim Cook: The Genius Who Took Apple to the Next Level. When Steve Jobs passed away in 2011, many people doubted that Tim Cook, an operations expert, was up to the job of CEO. As Kahney summarizes in his book’s introduction titled ‘Killing It,’ the numbers have proven the doubters wrong. By exploring Cook’s early influences and how they have affected his leadership of Apple, Kahney sheds light on the values and other qualities that have led to Cook’s success. The result is an interesting look at Cook’s background growing up in Alabama and his career before joining Apple, about which little has been previously written, but the book's recounting of Cook’s Apple years may be less informative to close observers of the company. Before he became CEO of Apple, not a lot was known about Tim Cook. He was the company’s Chief Operating Officer and was recognized by observers for his supply chain expertise, but he kept a relatively low profile until he filled in for Jobs as CEO during Jobs’ battle with pancreatic cancer. 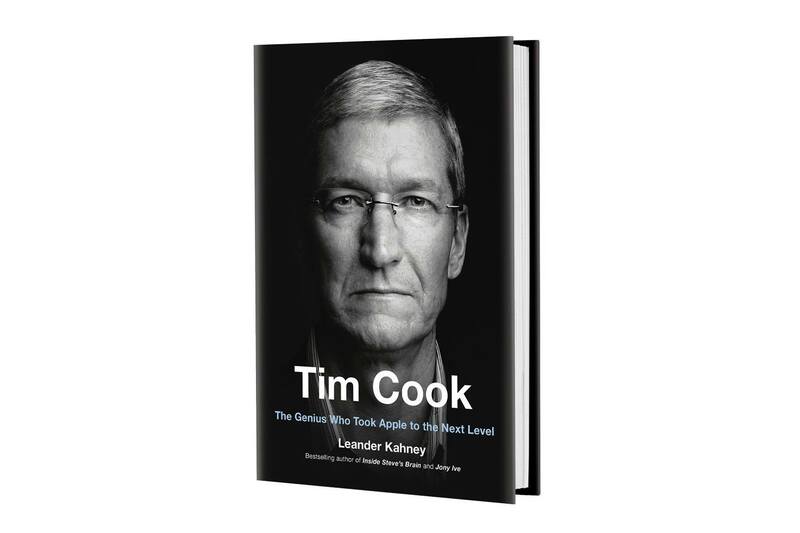 As Kahney explains in chapter one, Cook’s low profile was in stark contrast with Jobs’, which fed the skepticism that Apple’s new CEO would succeed. Instead of trying to imitate Jobs though, Cook brought his own values and experiences to his new role, which as Kahney suggests has been the secret of his success. The early chapters of Cook are by far my favorites because they fill in a lot of gaps about Tim Cook’s life leading up to being named Apple’s CEO. Kahney traces Cook’s path from growing up in Alabama through his early career at IBM and other companies. In doing so, Kahney visited Cook’s hometown and spoke to people who knew him growing up and interviewed former colleagues at the companies for which he worked. The interviews are paired with Cook’s own words from speeches he’s given in the past, which is effective in portraying events that have shaped everything from his work ethic to his perspective on diversity. Kahney does a fantastic job weaving these threads together into a compelling portrait of Cook’s early life. The stories told by Cook in his speeches have been reported elsewhere, but supplemented by recollections of friends and colleagues, they have more context, and I came away feeling as though I have a better understanding of their impact on Cook. The same is true of Cook’s early days at Apple where he led the effort to streamline the company’s supply chain. It was the late 90s, Apple was in dire financial straits, and it was Cook’s job to straighten out operations. Despite the constraints that Apple’s financial troubles undoubtedly placed on Cook, Kahney reports that he managed to reduce inventory, helping return the company to profitability rapidly. One interesting side note about Tim Cook is that Kahney had the opportunity to interview some of Apple’s current and recently retired executives. He didn’t interview Cook himself, but he interviewed Lisa Jackson, Deidre O’Brien, Greg Joswiak, Bruce Sewell, and a couple of anonymous sources. Those interviews resulted in a few interesting quotes about Cook, but nothing that strays in any meaningful way from the messaging of Apple’s PR team, which is not surprising given that all but Sewell still work for Cook at Apple. The middle few chapters of the book focus on Cook’s first three years as CEO. This was a period of intense scrutiny and regular declarations by pundits that Apple was doomed. The results of Cook’s early days were mixed. 2012 saw John Browett come and go as Apple’s Senior Vice President of Retail. That same year, Apple introduced its Maps, which was a buggy mess. When Cook reportedly demanded that Scott Forstall apologize to customers for the problems with Maps, for which he was responsible, he refused and was fired. The same year though, Cook significantly broadened Apple’s charitable giving and began addressing worker safety in the company’s supply chain. The chapters that follow and cover 2013 and 2014 chronicle a similar mix of successes and setbacks. It’s also where I began to lose interest in the book. The trouble I have with these chapters and some of the latter part of the book is that they are primarily chronologies of the Apple news from those years. That’s fine for a general audience that is familiar with Apple but doesn’t follow the company carefully, but for a lot of MacStories readers, I suspect this part of the book may feel like a rehash of year-end Apple news round-ups. The rest of the book shifts its focus to the six core values that guide Cook’s leadership of Apple: accessibility, education, environment, inclusion and diversity, privacy and security, and supplier responsibility. At its best, Kahney’s book synthesizes long timelines with the help of industry experts who provide perspective and context. One of the strongest examples of this is the chapter on the environment and supplier responsibility that tracks Apple’s environmental efforts from Steve Jobs’ tenure through to present day. Kahney not only explains what Apple has done to become a more environmentally-friendly company, but compares how Apple stacks up against other tech companies in the eyes of groups like Greenpeace. In contrast, the discussion of Apple’s efforts in education doesn’t add much insight into Apple’s efforts beyond what can be gleaned from press releases and keynotes. Kahney concludes by asking whether Tim Cook is Apple’s best CEO. Without expressly saying so, it’s clear that Kahney believes the answer is yes, but I appreciate that he doesn’t answer the question directly because after finishing the book, Tim Cook doesn’t strike me as the sort of person who would care for that sort of debate. He’s proven doomsayers wrong, despite occasional setbacks on the way to helping Apple become the world’s biggest company, and by any measure that’s quite an accomplishment, especially following Steve Jobs. Tim Cook is an excellent overview and at times insightful look at Cook’s life and career at Apple. If you’ve followed the company closely for years, you will probably find yourself skimming through some sections quickly, but I’d still recommend reading the book. The stories of Cook’s early life animate the company’s core values that give them substance. I suspect that even the most cynical tech pundit would have a hard time doubting the sincerity of Cook’s beliefs after reading Kahney’s book. Tim Cook: The Genius Who Took Apple to the Next Level is available from Amazon, Apple’s Books app, and elsewhere.